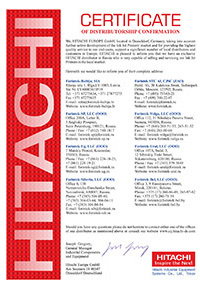 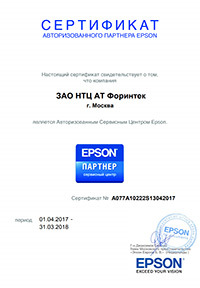 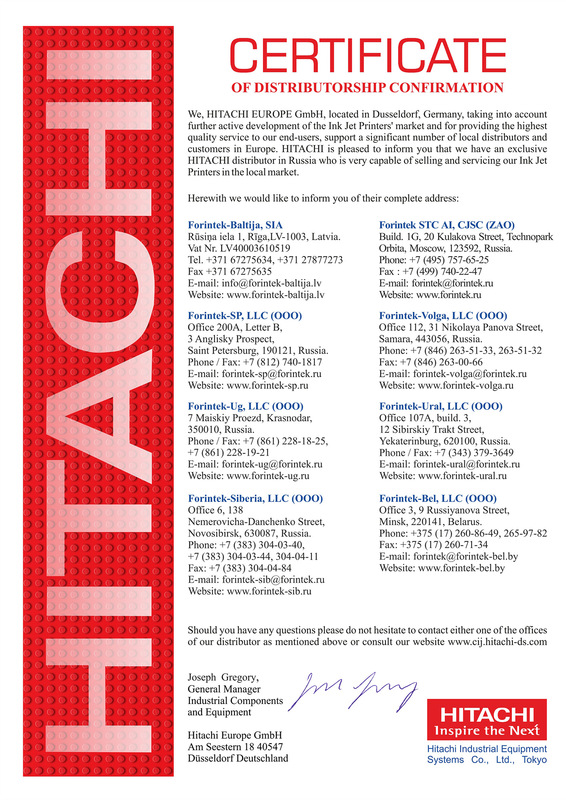 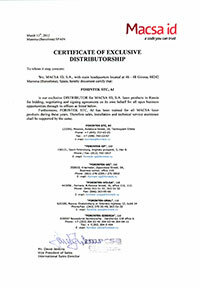 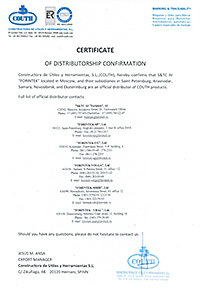 Forintek-Baltija SIA is an official exclusive distributor of Hitachi Hitachi Industrial Equipment Systems Co., Ltd. (Japan), Novexx Solutions GmbH (Germany), Avery Dennison Corporation (USA-Germany), Allen Coding GmbH (UK), Weber Marking Systems GmbH (Germany), MACSA ID, S.A. (Spain), Eidos (Italy), COUTH (Spain), Epson (Japan), Tommy Nielsen (Denmark), Savema (Turkey), ARMOR (France) in the Baltic states of Latvia, Lithuania and Estonia, which is confirmed by the corresponding certificates of distributorship. 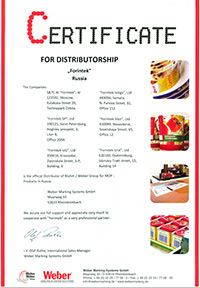 Forintek-Baltija SIA supplies its customers with the best high-tech equipment for product coding and marking, labelling and packaging from the leading global manufacturers. 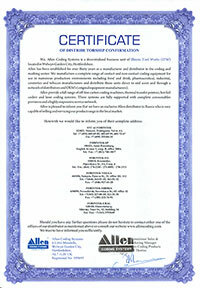 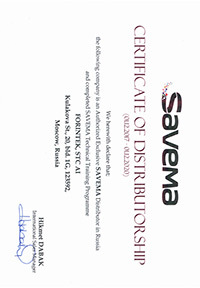 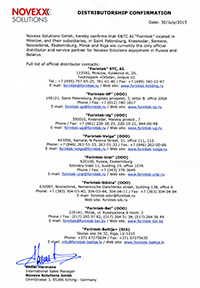 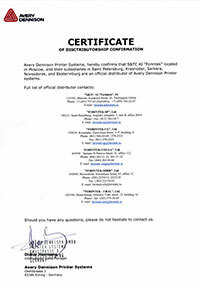 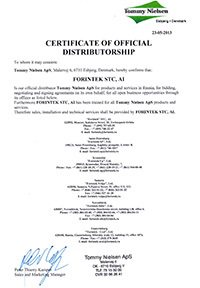 All the equipment and consumables supplied by Forintek-Baltija SIA are original and certified.